The DT Systems Master Retriever 1100 Camo features a 100% waterproof collar and transmitter, 1100 yard range, sleek new compact design that easily fits in a pocket or blind bag, and a lightweight compact collar that won't bog down your dog. The MR 1100 has 16 levels of e-stim and vibration assist, which makes it straightforward dog training refined, so you and your dog can enjoy more. Straightforward controls include both momentary and continuous stimulation plus non-stimulating vibration functions without complicated buttons or programs, letting you and your dog hunt longer and enjoy more time in the field. 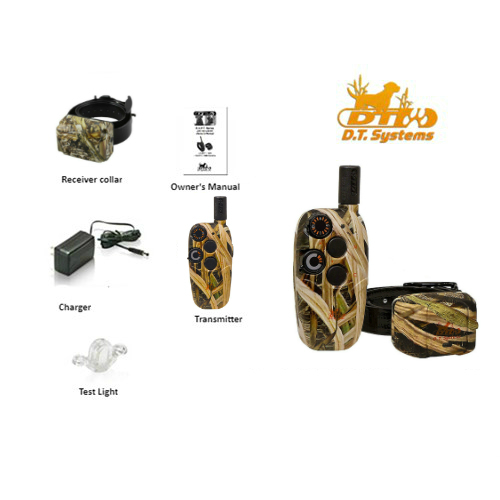 The DT Systems MR 1100 Camo has many exciting features for users of all types. 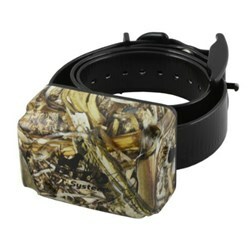 See the DT Systems MR 1100 Camo product video and gallery images above for more details. 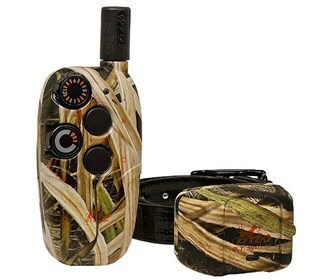 FactoryOutletStore stocks a full line of accessories like Additional Receiver for the DT Systems MR 1100 Camo. The DT Systems MR 1100 Camo is sold as a Brand New Unopened Item.